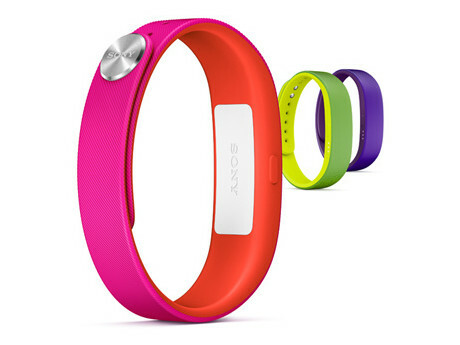 Sony unveils Sony SmartBand wearable gadget with fitness tracker. Check Sony SmartBand review, price in India. Adding another glitzy gadget to its smart wearable lineup Sony brings out the SmartBand, a wristband for tracking your physical activities on the go. Sony took the CES 2014 podium as the launching pad for this brand new tracker that comes as its first ever in this category and also the first amid its SmartWear line. It seems Sony has no plans to get outraced in the rush for offering smart-wear accessories. The SmartBand is positioned to give direct competition to the Lifeband Touch that was also released by LG just a few days back. So what does the SmartBand do that’d make you want to grab it? It’s a nicely shaped fitness tracker that tracks all daily physical activities of the wearer which can be seen in Sony’s new app, the Lifelog. There is no display on this sensor-imbued band- it just stays wirelessly connected to any Android smartphone or tablets using Lifelog. So get the daily activity record and also the app-based recommendations for future activities from this one. What you’ll like about the SmartBand is its readability to be worn anywhere apart from on the wrist, of course. So go ahead wrap it around your ankle or get it a big higher up the arms. The device functions flawlessly and has a removable core which is really quite convenient. In Sony’s own words, the SmartBand is not just about the steps that you take but also about ‘emotion’ with the ‘motion’. Really, going beyond the usual fitness tracker the SmartBand can also be used for skipping, playing or pausing music that they play on their smartphone device. It also gets activated when an incoming call or message comes up on the device. Though there’s no clarity on how much the SmartBand will cost you it should be available in stores and online around spring.